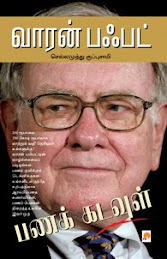 I am very happy to share the news about a new kindle book Warren Buffett - an Investography. It can be read from amazon.com site. 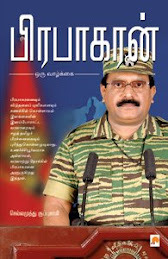 It can be read with Kindle device. Otherwise it can can also be read on your desktop or laptop by installing free ‘Kindle for PC’ application that can be downloaded from http://www.amazon.com/gp/kindle/pc/download. For detailed information about how to read kindle books in PC, please refer to this previous post. , is never going to bore. Now product description of the book from amazon site. Interesting account of world’s most successful investor. The book gives a detailed information on how a boy from Omaha became most revered man amongst investors around the globe. Warren Buffett had been the wealthiest man in the world. He has been number two and number three. He accumulated every penny of his fortune from the word go. Not only that. He multiplied in many times and helped whole lot of his shareholders becoming millionaires in that process. He is a standing example that success in stock market is nothing but manifestation of commonsense and high school mathematics. Though he kept on saying that a fat wallet is the enemy of superior investment results and his past achievements could not be replicated in the future, he kept on beating his own estimates and continues to add wealth to Berkshire shareholders. Perhaps no other practicing capitalist has done so much towards investor education and improvement of corporate accountability as Warren Buffett. On top of that, he has pledged to give away his hard earned money back to the society through philanthropy, instead of passing on the estate to his heirs. This book chronicles his transformation from a little known boy to world famous investor, both in terms of wealth and wisdom. Should benefit common public and investors alike in helping themselves.